A pair of former Big Pharma scientists have accused their former employer, Merck & Co., of falsifying tests of an exclusive mumps vaccine in recently filed court papers, charges they say the pharmaceutical giant has yet to answer. Lawyers at Constantine Cannon, the firm representing the scientists, have asked U.S. Magistrate Judge Lynne Sitarski of the Eastern District of Pennsylvania to force the company to respond to their request for discovery, which seeks to compel the company to provide efficacy data regarding the vaccine in the form of a percentage. But, as Reuters reports, rather than answer the question, the letter said, Merck has instead been evasive, using “cut-and-paste” stock answers and claiming that the company cannot run new clinical trials to determine current efficacy. Rather, Merck has only provided data that is five decades old. 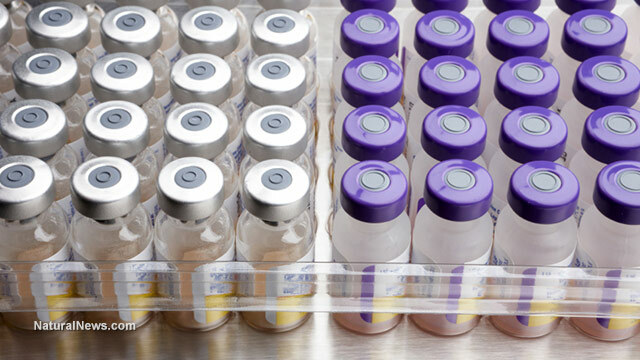 “Merck should not be permitted to raise as one of its principal defenses that its vaccine has a high efficacy, which is accurately represented on the product’s label, but then refuse to answer what it claims that efficacy actually is,” the court letter said. A representative of Merck could not immediately be reached for comment, Reuters noted in its June 4 report. In 2012, Chatom Primary Care, which is based in Alabama, and two individual physicians – all buyers of the Merck mumps vaccine – filed a proposed antitrust class action based on allegations in the whistleblowers’ suit. The two cases are now being coordinated before Sitarski and U.S. District Judge C. Darnell Jones, said Reuters. Merck also added animal antibodies to blood samples to achieve more favorable test results, though it knew that the human immune system would never produce such antibodies, and that the antibodies created a laboratory testing scenario that “did not in any way correspond to, correlate with, or represent real life… virus neutralization in vaccinated people,” according to the complaint. Merck’s allegedly fraudulent claims were made so that the company could corner the mumps vaccine market, Adams noted, adding that the Merck scientists – who are virologists – state the fraud has been ongoing since the 1990s. Rather than taking action on this false claims act, the U.S. government simply ignored it, thereby protecting Merck’s market monopoly instead of properly serving justice. This demonstrates the conspiracy of fraud between the U.S. government, FDA regulators and the vaccine industry. Merck fraudulently represented and continues to falsely represent in its labeling and elsewhere that its Mumps Vaccine has an efficacy rate of 95 percent or higher. In a separate Natural News report, Rosemary Mathis, Vice President of Victim Support, SANE VAX, INC., pointed out that governments all over the world were defrauded by Merck after purchasing the vaccine. What’s more, the dishonesty has actually led to more calls for more vaccines. “According to the two whistleblowers, not only have all the multivalent MMR vaccines been sold under false pretenses, but, as a result of this LACK OF EFFICACY, there have been numerous mumps outbreaks worldwide prompting calls for regular MMR boosters throughout life,” she wrote. “Measles and mumps are making a huge comeback in the United States, but doctors and journalists all make the same critical error in understanding why. They blame ‘parents who don’t vaccinate their kids’ as the cause, but the real cause — as revealed by whistleblowing scientists working for top vaccine manufacturers — is that measles and mumps vaccines are designed to fail from the start,” he wrote. Be the first to comment on "Merck mumps vaccines are a total fraud: Company can only provide the courts with efficacy data from 50 years ago"